Sisters of Charity Hospital provides complete medical care to the Buffalo community, including advanced women’s health, neonatal and vascular services. 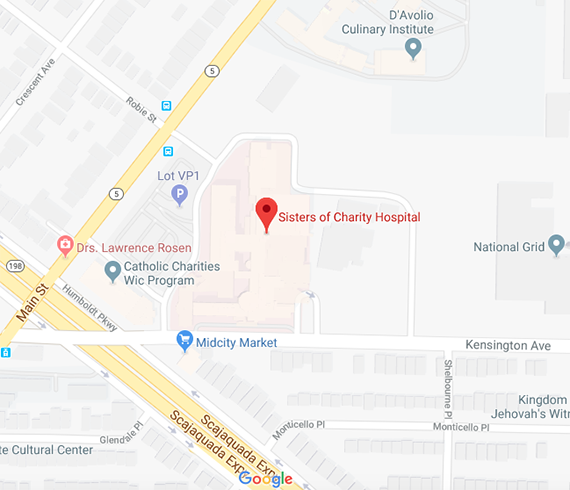 A wide range of the latest medical and surgical treatment is available at Sisters of Charity Hospital, including exceptional maternity care, advanced vascular surgery, and comprehensive orthopedic care. Named a Top 100 Hospital in Orthopedic Surgery by Healthgrades. Named a Designated Stroke Center by the New York State Department of Health. Births per year. Chances are, you or someone you know was born at Sisters.